P.S. Check out this feature on Teen Vogue, pretty amazing - HERE. I just love this necklace!!!! M sure you'll look gorgeous! Fantastic necklace. I love neon colours in accessories! Love it, perfect for the season, and it's a very versatile piece. I saw this necklace a while ago in the Zara and it's so beautiful! Good to see that you bought it! ogreat necklace and you are right it will make any outfit pop!! GReat choice!! LOVE this necklace, great purchase. 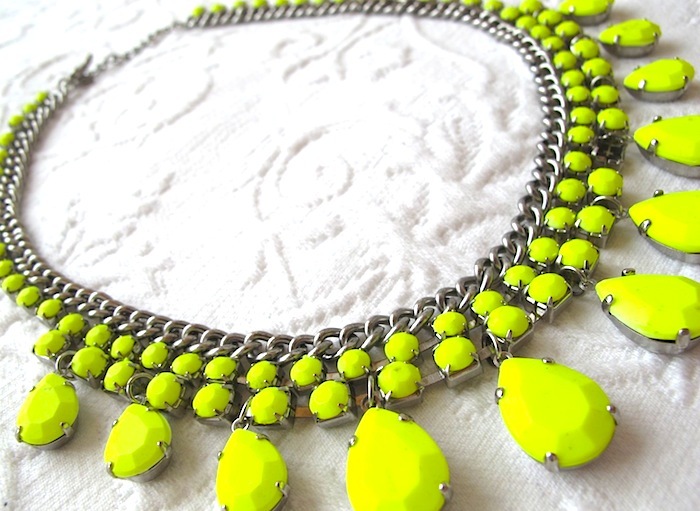 So So pretty, I need one of these neon necklaces! I'm having a you choose cashmere giveaway on my blog, please pass by and enter I think you'll love it. Wow, this necklace is amazing!